I brushed the "Snot" on with a wallpaper brush and let it sit for about 45 minutes. I then began power-washing it off at about 1400-1600 psi cold water. Much to my surprise, virtually all of the paint and marker simply ran off with the water! Surprisingly, a small amount of the white and a bit of the red needed a second application which I did as I was washing off the rest. It all came off. I should mention that although I purchased a 5 gallon bucket, all of this was finished with less than 2 gallons. Just for reference, the graffiti in the first picture, "burning" was about 1 year old. 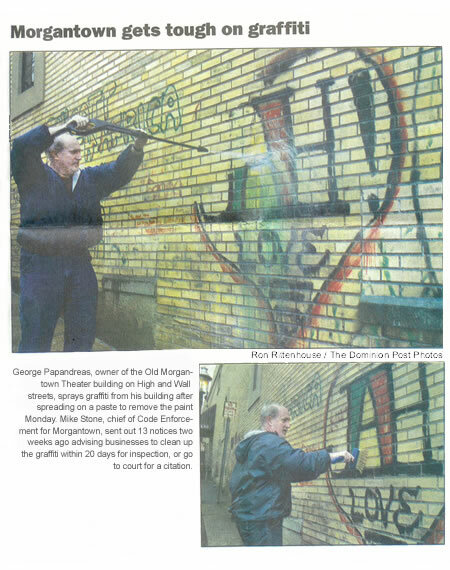 The remainder of the graffiti was no less that 23-24 years old and had resisted attempts to clean it with acid washes. After the "Snot", there was absolutely no damage to the brick or the mortar.